With such a variety of different podcasts to choose from, there’s bound to be something that interests you. However, most people tend to get hung up on how exactly to go about getting started in their search for the right podcast app. If you’re already a fan of the medium or need to search the market to partake in all the action, then we’ve provided you with a plethora of options for whichever device you prefer. Easily manage a flood of podcast episodes with an app that uses a new way of looking at podcast organization. Castro 2 throws away the “master list” approach and ushers in the trifecta of a queue, inbox, and archive. Queue houses the episodes you’re looking to listen to, Inbox provides a list of episodes along with text snippets, and Archive is where all your favorited episodes are stored. 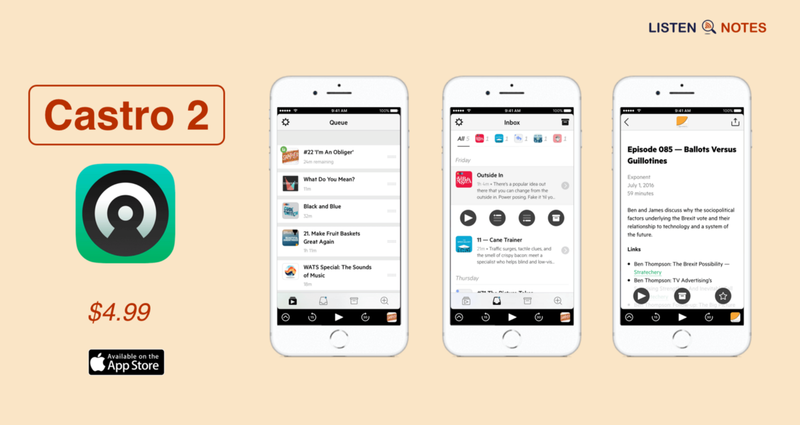 Castro 2 has an innovative feature called Triage that allows you to broaden your listening habits without being hassled by notifications for new podcast episodes. Triage will recommend new podcast episodes based on your previous interests making it an excellent feature to help you prioritize content. 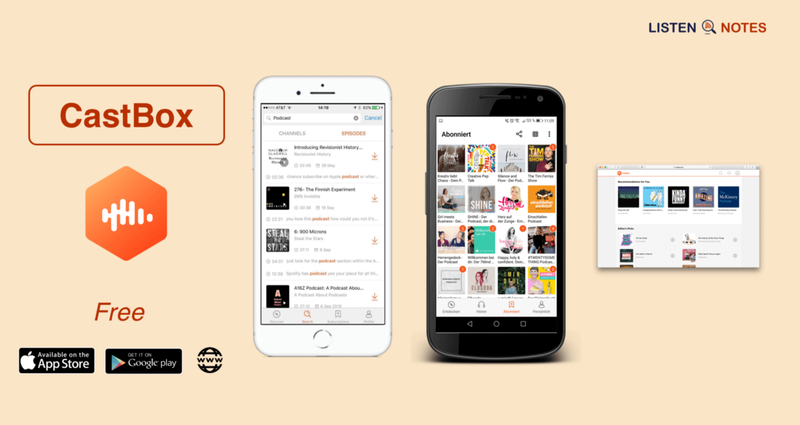 The interface of Overcast is intuitive and easy to navigate. 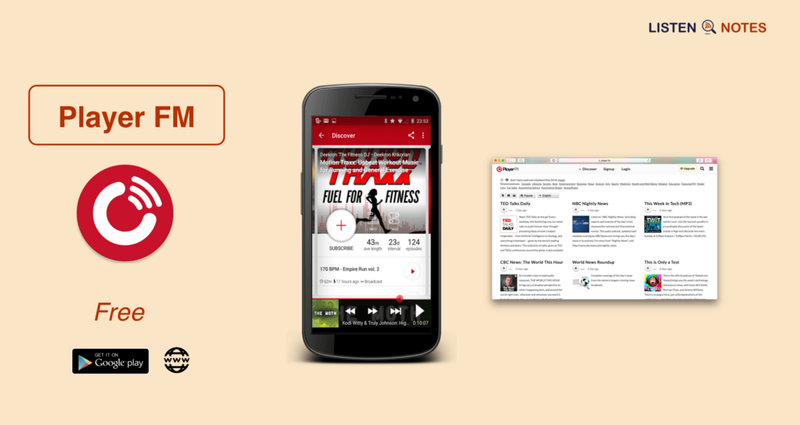 Podcasts are organized by category and can be interacted with by a simple click. You can check out any of the episodes offered, commitment-free, or subscribe and add one (or many) to your list. Smart Speed, one of Overcast’s best features, allows you to speed up podcasts without distorting quality. If you’re the type that likes to speed through conversation to get to the good parts then this function is a real time saver without any diminishing returns. A lot more flexible and powerful than Apple’s official app, Downcast offers users a large collection of both features and shows. With intuitive downloading options and a superb, easy to navigate interface, Downcast is an amazing podcast app. 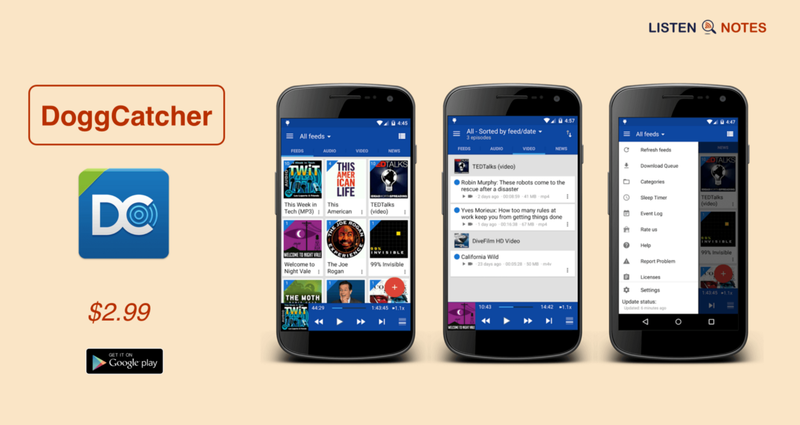 Easily create playlists, play videos at fullscreen, and adjust various parameters such as playback speed with this podcast app. Downcast’s true power lies in its library management. Global settings allow for large downloads, whether to use Wi-Fi or cellular data and provide the ability to determine how long episodes are retained after you watch them. These settings can be overridden for individual podcasts and episodes as well. iCatcher! is quite similar to Downcast, albeit with a bit of a learning curve. Though once you’re able to master the differences in interface design and intuitive ease, you’re graced with a podcast equipped with quite a few interesting features. iCatcher! 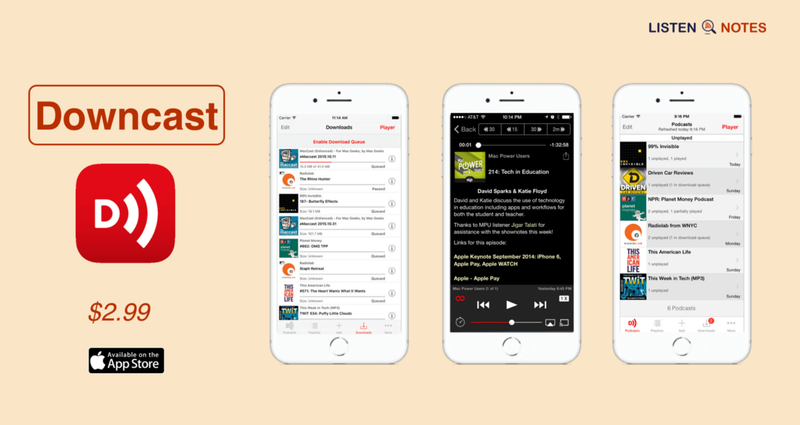 features playlists, extremely customizable settings, AirPlay support, and much more. When searching for shows, the app allows you to break it down into categories and sub-categories to find what you’re looking for, quickly. 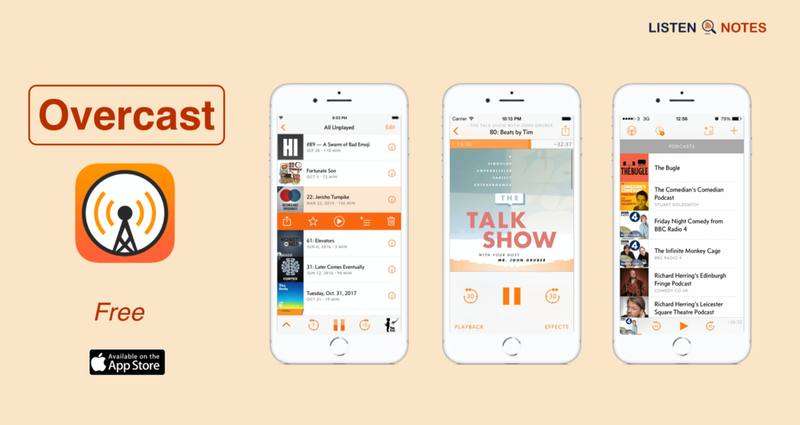 Both simple and easy to use, Breaker allows you to manage your podcast subscriptions, importing them from the iOS Podcast app as well as some of the above options — Overcast and Castro. You’re able to like, comment, and subscribe to all your favorite podcasts. 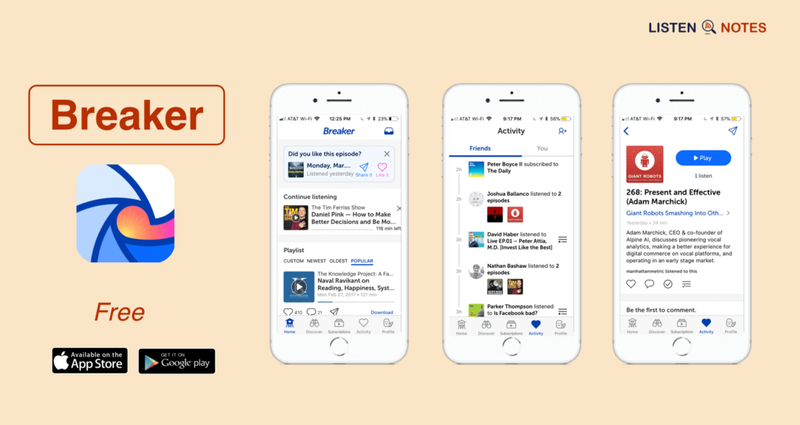 Breaker is touted as the #1 social podcast app for its seamless integration with Twitter and Facebook as well as the ease of sharing with friends. 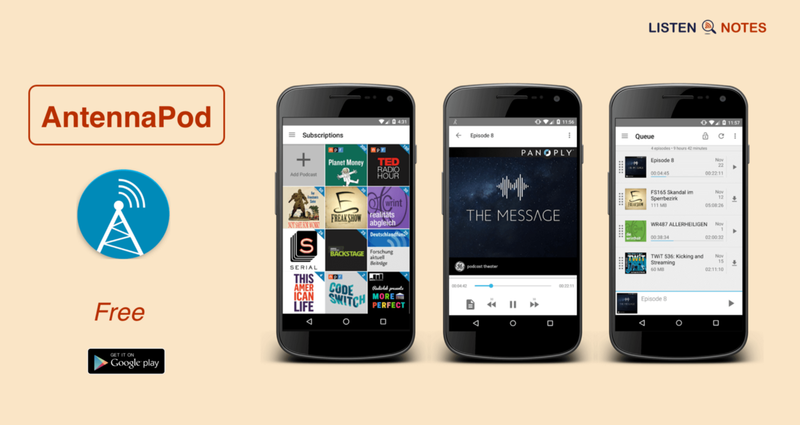 Elegant in design, Podcast Go is a feature-rich app offering over 300,000 shows at your fingertips. It’s streamlined interface and powerful controls give you easy access to millions of audio and video episodes. Podcast Go allows you to find the podcast you seek using a popular and trending categories search feature. This app is very well-rounded when it comes to a user’s podcast needs. An excellent interface, a huge list of podcasts, and app functionality that puts it on par with most of the big names in podcasting. 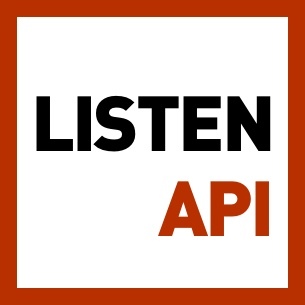 Download episodes and listen to them offline. Discover new and popular podcasts. Possibly the most popular podcast on the list, Podcast Addict has over 5M+ downloads and 300k+ reviews. Search podcasts by name, category, or keyword with this app. It contains a massive library of podcasts, audiobooks, live streaming radio, and even has support for YouTube and Twitch channels. When you play an episode from the Downloaded list, it makes a queue of all episodes for continuous play. The ability to browse content from so many different sources is a big advantage over other podcast apps. 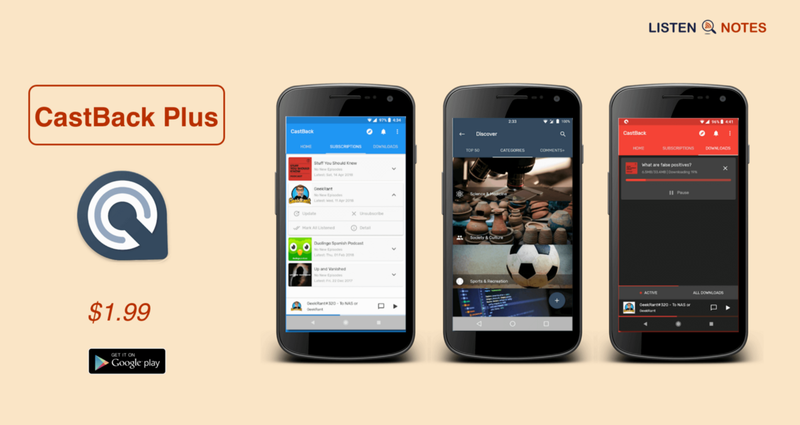 With a bevy of standard as well as exclusive features in a free package should make it an obvious choice for Android users. If you ever wanted a podcast app with great features that also doubles as a social experience, CastBack Plus has you covered. Have open discussions on podcasts by simply posting a comment and the podcast creator, as well as other listeners, will be notified. This allows anyone to check out and join in on the conversation. CastBack Plus also comes with a clean and beautiful UI with an easy on the eyes home screen layout. Constantly in development, the developers seem to listen to their users/critics and are open to feedback and requests. One of the oldest podcast apps on the list, Doggcatcher has received and continues to receive, frequent updates to its features and design. Boasting a massive library of podcasts, playlist support, variable speed playback, themes, and various automation and customization features, Doggcatcher is nothing to scoff at. The app comes with an upfront price of $2.99 but offers users an entirely ad-free experience and absolutely no additional in-app purchases. Doggcatcher offers so much for its price tag that it may be the steal of the list in terms of raw power in a podcast app. Antenna Pod is an easy-to-use, flexible, and open-source podcast manager exclusively for Android. It offers automatic downloading of new episodes as well as playback with variable speed using Prestissimo. The biggest sell of Antenna Pod is the fact that it is 100% free from the jump. Absolutely zero ads, zero costs, and completely open source. 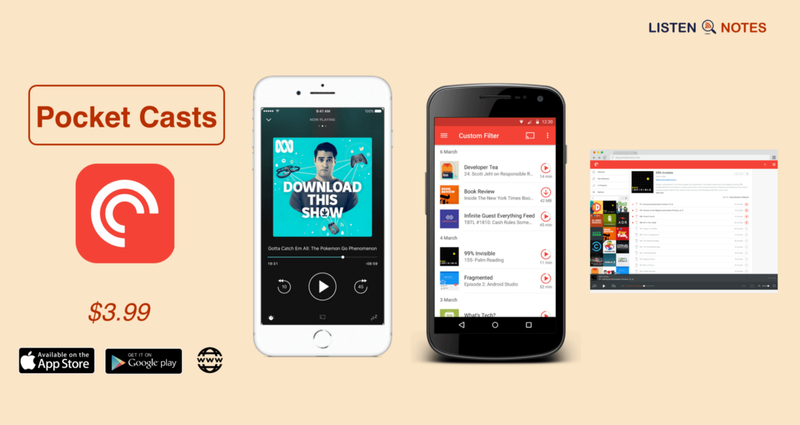 Pocket Casts offers recommendations, popularity charts, and trending networks in order to help you find the podcast for you. It can even build an Up Next queue automatically so that there’s no downtime in your listening enjoyment. An awesome feature of the app allows you to trim the silence between episodes which reduces the wait time between each show. You can also skip past the intros and episodes of the shows you don’t want to watch. 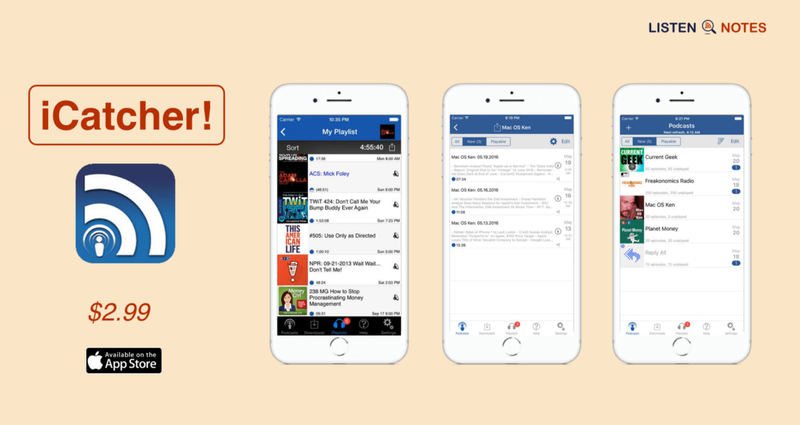 Easily manage your subscriptions across multiple devices and discover amazing new shows daily with the Player FM podcast app. The app comes equipped with all the standard bells and whistles one expects along with a few available in-app purchases. Player FM also features Chromecast which allows you to throw up your podcasts onto your smart TV for a larger viewing experience. With a curated catalog of over 500 niche topics, you’re bound to find something you’ll enjoy. This app is ad supported which can be circumvented through a yearly price tag of $9.99. Recently, an upgrade option was enabled to remove all visual ads from the application. Though the podcast app will generally have everything you’ll need to enjoy its vast library of shows it does tend to fall flat in terms of features. The bulk majority of every other app mentioned in this post will typically outshine it in almost every way. An easily usable podcast player for those who love their podcasts. CastBox offers a super clean layout and easy to navigate interface. The app comes with a wide range of categories to choose from and allows for completely free streaming or downloading anywhere, anytime. Enjoy your shows on the go or even on your laptop at work as all shows are synced across all platforms allowing for uninterrupted listening no matter which device is used. 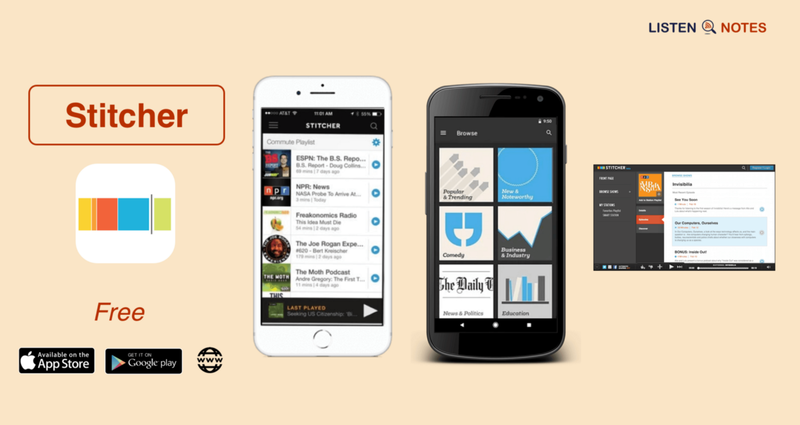 Stitcher is an on-demand podcast app focusing on news and informative radio streams. 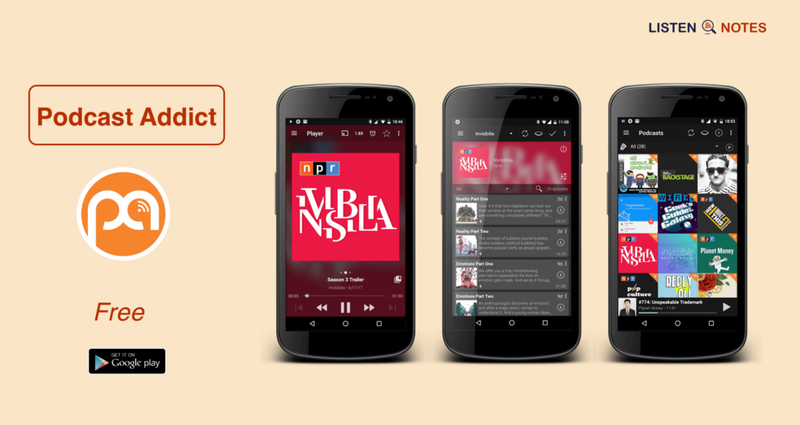 The app provides a free online streaming service and aggregates content from multiple providers, organizing them into various stations for your listening and browsing leisure. This app provides plenty of customization and personalization through its personalization algorithm. This particular feature builds upon the user’s listening habits to influence recommendations and provide a better overall audio streaming experience. Spreaker is a media host and provider with podcast recording capabilities. It offers plenty of opportunities to listen to your favorite pre-recorded and live shows while also providing users with a live record and upload option at their fingertips. 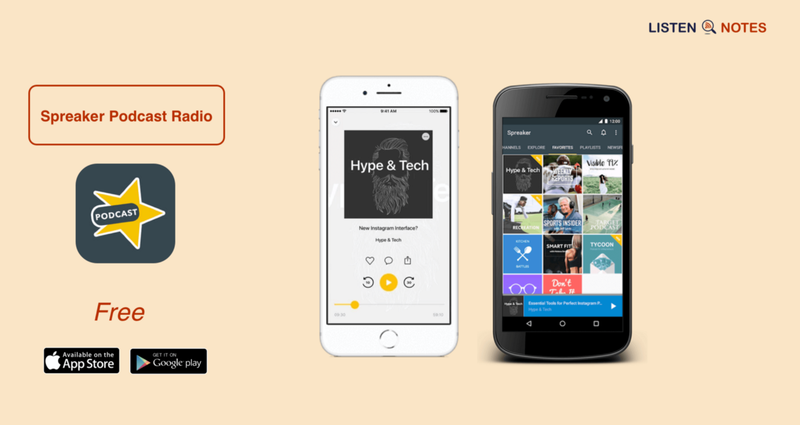 Spreaker Podcast Radio is specifically for mobile devices and enables users to listen to their favorite shows as well as take part in live shows by interacting with the host and fellow listeners. If interested in creating your own podcast, then you’ll want to download Spreaker Studio. This option is available on both desktop and mobile devices. Chorus is a social podcast player built on the premise that if you find something worth listening to, then you’ll probably want to share it. 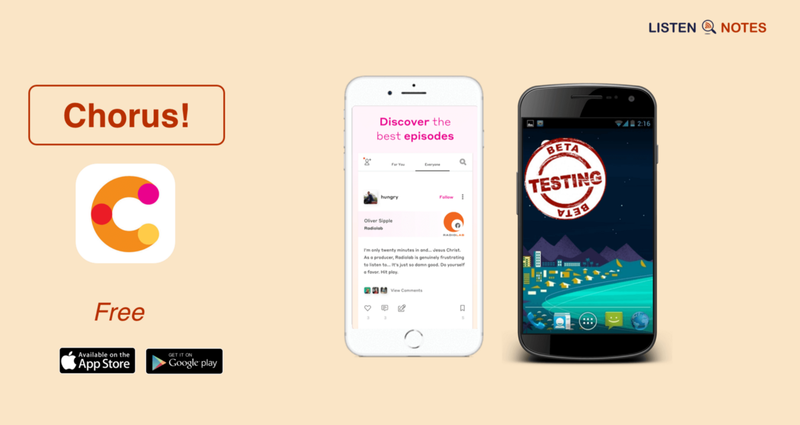 The app allows you to interact with communities of listeners and podcast lovers to create your own podcast social network. Upon recommending your favorites to friends, fans, and total strangers, garner a following of connected listeners by enabling auto-posting to Facebook and Twitter. This enables you to reach potential fans even if they aren’t on Chorus. As mobile functionality and software improve, we’re treated to a more robust variety of features. Those listed above are the current favorites but each new day brings needed improvements and innovation. With such a comprehensive list, you’re sure to find the podcast app that you never even knew you needed. If you’re totally new to podcasts and prefer to avoid app installations or subscriptions, an alternative is the podcast search engine Listen Notes. You’ll be able to search for specific episodes of people or topics that you’re interested in and listen there without the need to download a thing.